Have you been plagued by irrational fears? Have you had visions that have no connection with your current reality? Do you experience a sense of deja vu often? Has the situation come to such a point that you are having panic attacks that are almost debilitating? The answers could lie in a Past Life Regression Therapy session. Besides a trained a successful session past life regression therapist, by a trained past life regression therapist assists clients take a leap of faith as they travel through numerous past lives. Via the process of hypnosis the person is facilitated to move into a trance-like state, during which the client starts to identify past memories, followed by an extended state of memory recall leading to the integration of the experience. 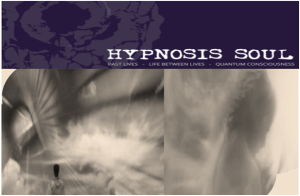 It is this integration of experience both during and after a past life regression session that helps a client heal. When subconscious belief patterns operate in our present conscious mind they may affect our life negatively. Such fears prevent us from enjoying a fulfilling life. A successful regression therapy puts the spotlight of attention on these fears and traces their roots. An empowering Past Life Regression therapy session helps to identify blocks and in turn help you live life to your full potential. With past life regression therapy it is possible to reframe the anxiety attacks from the experiences of another lifetime, which helps the client heal help them strengthen their internal resources and apply the same to their current life. Many individuals who have been able to overcome their limiting beliefs and start living life to a fuller potential, stand as the biggest testimony to success of a Past Life Regression Therapist.